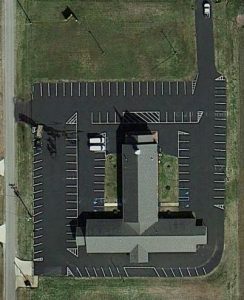 J&A provided Land Surveying, Master Planning, and Civil Engineering Design services for a 14 acre Church campus. Project elements included: boundary and topographic survey, master planning and preliminary design, construction plans and specifications, approval assistance, and construction engineering and inspection. J&A was responsible for land surveying and civil/site design services, as well as collaborating on Master Planning, for this 38 acre Church campus. Phase 1 of campus development included construction of a new 20,000 square-foot Fellowship/Community Center, site work,stormwater detention facilities, parking areas, utility extensions, and off-site roadway improvements. A Traffic Impact Study was conducted to evaluate impacts of vehicular traffic generated by site development on the adjacent streets and intersections. Provided Land Surveying and Civil Engineering Site Design services for a new 7,000 square foot Church Building and related site improvements. J&A provided a comprehensive topographic survey of the 2.73 acre site including off-site utilities for main extensions. Because municipal sanitary sewer service was not available, we provided design services for an on-site sanitary sewer septic tank system that utilized a chambered system to minimize field system area. 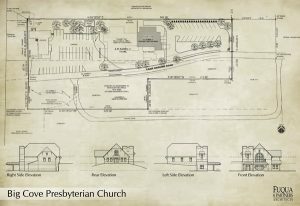 The site design project included a new church building, parking facilities, storm drainage improvements, utilities and a storm drain detention area. Additionally, J&A provided construction administration services and construction inspection services during the procurement and construction phases of the project. 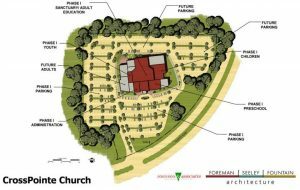 Provided Land Surveying and Civil Engineering Design services for a church building expansion on a 3.5 acre Church campus. Project elements included boundary and topographic survey, site design, construction plans and specifications, municipal approval assistance, construction administration and construction inspection. Because municipal sanitary sewer service was not available, we provided design services for an on-site sanitary sewer septic tank system that utilized a chambered system to minimize field line absorption area. 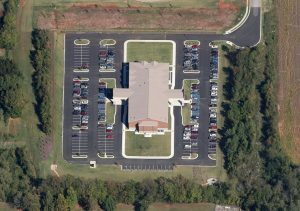 J&A provided Land Surveying and Civil Engineering Site Design services for a new Church Building and related site improvements. We performed a comprehensive boundary and topographic survey of the 9.9 acre site. 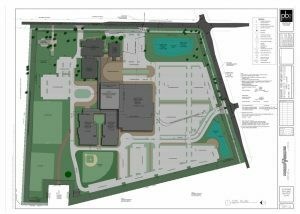 The site design project included a new 22,000 SF church building, parking facilities, storm drainage improvements, utilities, erosion control, and storm water detention area. Additionally, J&A provided construction administration services and construction inspection services during the procurement and construction phases of the project. Because it was necessary to extend an existing City street and utilities to the site, we were required to design major subdivision plans for the street extension cul-de-sac and related improvements. We also helped the client secure City of Huntsville approvals to rename the City street from Willow Way Drive to Jordan Park Drive.